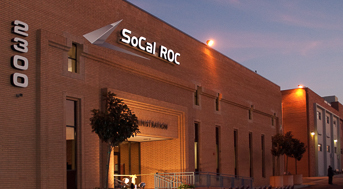 The mission of SoCal ROC is to provide all students though industry-linked programs the skills and knowledge necessary to attain their career goals in order to become economically self-sufficient and be a successful contributor to society and a global economy. All students will have the opportunity to participate in a high-quality, rigorous, and relevant course of study made up of Career Technical Education (CTE) courses aligned to CTE Standards and Academic standards. Courses shall be reviewed on an annual basis with industry partners so as to meet industry standards and expectations ensuring that skills and theory taught will prepare students for further study and preparation for high skilled, high wage, and technologically “green” focused career areas of today and tomorrow.